Loyalty to Trump by Republicans looks to prove very costly this coming November. Already at least 40 Republican members of Congress will not seek reelection and seats that were thought to be safe are now competitive. Republicans are dropping like flies and November’s midterm elections have not even arrived. At last count 40 Republican members of Congress have announced their intention not to seek reelection—a record. The party is hemorrhaging support and the November midterms look to be a bloodbath for Republicans who will likely lose control of both houses of Congress. The Republicans’ blind support for Trump is fueling the flames that are engulfing the party. It has been painful to watch, especially for me. My background is in Republican politics. I worked on and ran political campaigns for Republican candidates at local, state, and federal levels. I never saw a scenario where I would have to leave the party until Donald Trump came along. I refused to vote for him in the 2016 presidential election and said as much in my first article for this blog (Read Here). I wrote at the time, “The nomination of Donald Trump has been and is a catastrophe for the Republican Party.” That catastrophe will certainly be felt in November as current projections are showing an overwhelming tidal wave of Democratic support. Trump as president has lived up to many of my concerns and fears, especially those involving morals. When I wrote in my first article “His political positions and words inspire bigotry and hate.” I had no idea that would come to fruition so close to home when racial violence broke out at a white supremacist rally in my neighboring city of Charlottesville, Virginia the following August. Trump did not immediately denounce the actions of the white supremacists, one of which killed a counter-protester when they purposely rammed their car into a group of demonstrators. Many Republicans spoke out against Trump, but to no consequence. Trump remains popular amongst Republican voters with 85 percent support, making it difficult for elected Republicans to speak out against him. As those who have spoken out against Trump—like Arizona’s Jeff Flake—will testify, Republican voters do not care about issues, they only care if you support Trump. This leaves many Republicans vulnerable and unable to oppose Trump, hints the large number that are not seeking reelection. Given Trump’s unpopularity among the general electorate, many seats that were not competitive, are now competitive. As has been seen in the special elections this year, seats that should have been solidly Republican are now very competitive and even leaning Democrat. It all points to a slaughter in November for Republicans. 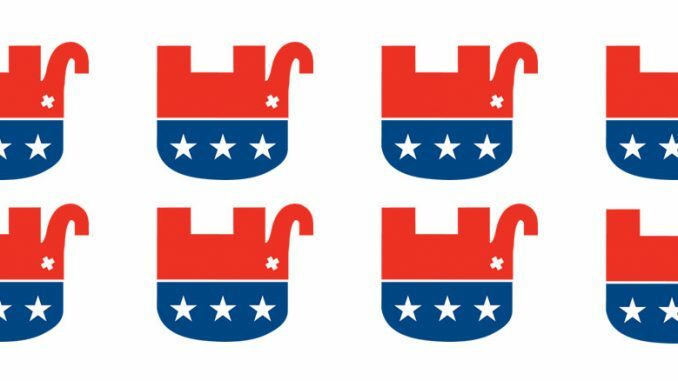 Is this the end of the Republican Party? The answer is no, but it is likely the party will be put in some kind of voter purgatory for a while. How long that would last is hard to say. The answer depends on how Trump redefines the party as a whole. Moreover, Democrats have not put forward any new ideas that will keep their newfound support beyond the days of Trump. Watergate may provide some clues. The Democrats were unable to solidify their support in any permanent way after the resignation of Nixon and the unpopular pardon of Nixon by Gerald Ford. Democrats were able to push Jimmy Carter into the White House, but he was replaced by the Reagan Revolution just four years later.